Mr. Hetey was born in Syracuse, New York. Prior to and during college Mr. Hetey worked in construction and environmental fields. While in law school Mr. Hetey received a student license to practice law and represented indigent disabled children in the Law School Disability Law Clinic. Mr. Hetey received the law school’s clinic prize for his accomplishments in litigating matters representing children with physical and mental disabilities. Mr. Hetey has been practicing in the area of civil litigation in both Northern and Southern Nevada since 1995. He has consistently obtained positive results for his clients and insurers in virtually all forms of general liability litigation including auto, trucking/commercial ground transportation, and boating accidents; premises liability; and product defects (design and manufacturing). 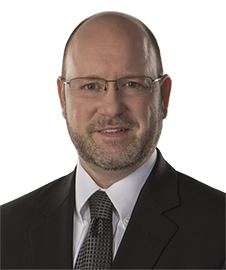 Mr. Hetey has significant experience handling complex construction litigation involving both commercial and residential defect allegations, along with construction site accidents. Mr. Hetey has handled hundreds of cases designated as “Complex” construction litigation. He has represented virtually every subcontractor trade involved in residential construction including engineering, grading, concrete, flooring, roofing, plumbing, mechanical, masonry, electrical and finish trades. He has also represented numerous window manufacturers. While his representation has primarily related to Third Party subcontractor defense, he has also defended Developer/General Contractor entities in both residential and commercial matters, including high rise construction. Mr. Hetey has handled numerous environmental matters, including release of toxic substances, toxic bodily injury, mold claims; and chemical explosions. He has handled well over 100 Arbitrations and tried numerous six and seven figure cases to verdict. Mr. Hetey has obtained positive results for his clients typically resulting in early and efficient resolution of matters. However when economic resolution is not an option, Mr. Hetey and the team of attorneys at Thorndal Armstrong are prepared to handle cases to verdict.